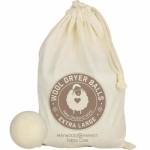 Reusable dryer balls, handcrafted from 100% New Zealand wool, unbleached, with no fillers or artificial centers. Toss into the dryer to remove wrinkles, save on drying time-without harsh chemicals! 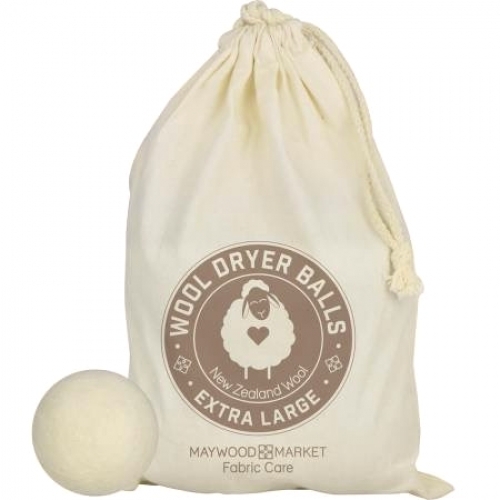 Wool dryer balls are the all-natural & eco-friendly choice for your beloved fabrics. Great for towels, sheets, cloth diapers, clothing, blankets, and all the fabrics in your life. For fun try adding a few drops of essential oils to the wool for natural fragrance. Simply allow the oil to fully absorb & dry before using. 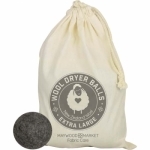 Each bag includes 4 reusable dryer balls.